You need to play with What-Dog.net, the latest silly viral sensation from Microsoft Garage. It’s really fun! Note how my dog face-twin looks utterly insane. 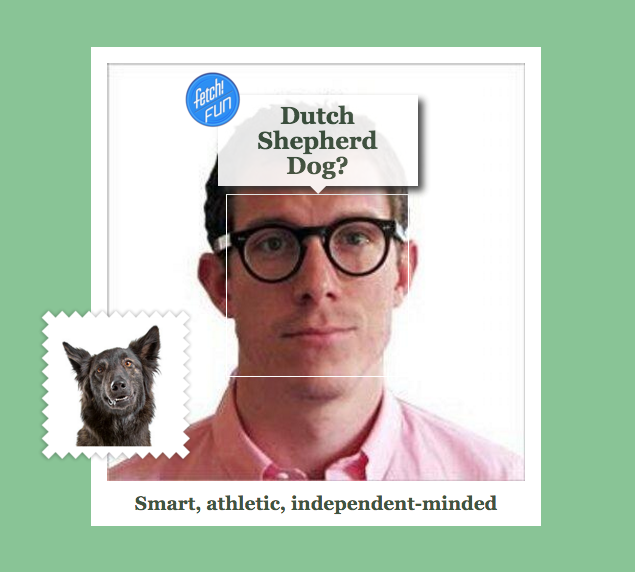 What-Dog.net naturally comes from the same folks who a few months ago launched How-Old.net, a web app that would guess how old you are based on a photo. However, the added appeal of cute puppies will undeniably attract a whole new breed of internet attention-seekers. It’s also a great add for Microsoft’s new Fetch mobile app which lets you use your smartphone camera to take pictures of dogs and then tells you what kind of dog it is. More fun!